German organ-builder Edmund Schultze. In 1927 it was offered for sale, and eventually purchased by Henry Willis, who incorporated the famous 'Schultze' pipework into the organ of Holy Trinity Church, St. Marylebone, London. In 1955 Holy Trinity Church was put to another use, and the 'Schultze' pipework was incorporated into the organ at the nearby St. Marylebone Parish Church. In 1965 the instrument was completely rebuilt and enlarged together with a new four manual console. Much of the old Gray & Davison instrument was retained, and the cost of the massive undertaking was generously donated by Mr. Robert Hawkins. This huge instrument of some 76 speaking stops made a very noble sound but roof problems and subsequent damage caused the organ to become almost unplayable by the early 1980s. 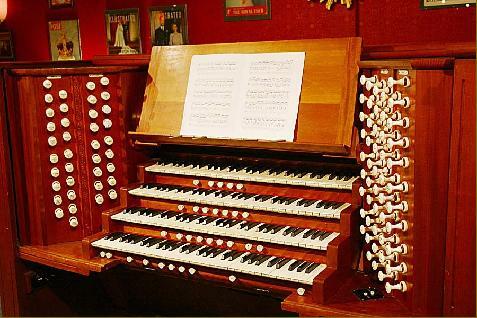 In October 1996 Marylebone Parish Church Council had plans to install a new organ in the church, and were attempting to find a purchaser for the old instrument. After inspecting the four manual organ we were told that we could have the organ on condition that we removed every part including over 5000 pipes, bellows, chests and the massive 32ft Open Wood pipes. The very thought of allowing such an instrument to go for scrap made our minds up for us, and we returned home, filling the car with 3 ranks of pipes! During October, November and December of 1986, groups of volunteers travelled to London each weekend, and working as a team we wrapped, packed and labelled over 5000 pipes and removed thousands of feet of cable and wind ducting. By Christmas 1986 the East side of the organ had been completely dismantled, leaving the West side playable for the Christmas services. By Monday January 6th 1987 the complete West organ had been dismantled, and the church was filled with organ parts. These were packed in a 40ft container lorry and transported back to Spalding. All parts of the organ were now safely stored in a variety of barns around Spalding, whilst the future of the organ was considered. After a great deal of consideration it was decided to sell parts of the organ which were too large to be reused and to scrap the parts which were beyond repair. All pipework was retained apart from the 32ft Open Wood, which was sold to St. David's Cathedral in Wales. The home for the rebuilt instrument was a converted barn at Laburnam House in Pinchbeck, with a purpose built studio to hold about 50 people. Here the organ was installed using Compton unit chests, Solid State switching and a three stage blower. Various percussion effects were added to allow the instrument to be used for a wider range of music, including a glockenspiel, xylophone, vibraphone and chimes. 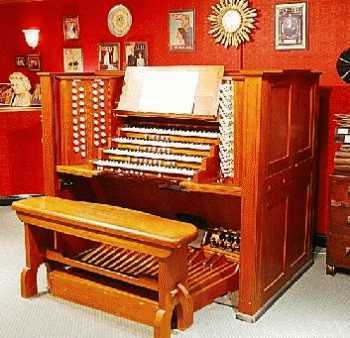 By Christmas 1991 the instrument was complete, and the opening recital was given by Nigel Ogden on 28th March 1992. In 1997 the organ was again dismantled and put into storage whilst a new purpose built concert room was built, this time able to accommodate an audience of 180 people. During 2002 the organ installation was completed, and was officially opened at The Burtey Fen Collection by Nigel Ogden in March 2003.